We had so much fun with our friends Bob, Linda and Michelle! 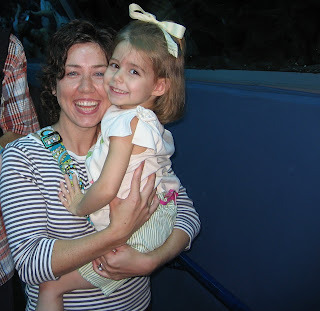 Michelle was wonderful with Madeline and Mason, especially at the Aquarium. 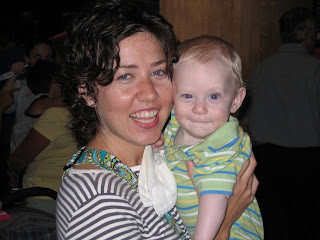 She was a ready and willing helper whenever I needed extra hands with the kids. Thanks, Michelle! And Linda was an outstanding hostess. She not only cooked and provided all things beautiful and necessary, she was our tour guide and exercise partner (at times my "Coach"). 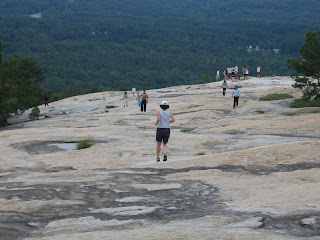 She drove Jay and me to Stone Mountain for a "hike" (it was straight up, solid rock), which ended with a gorgeous top-view of Atlanta and the surrounding area. 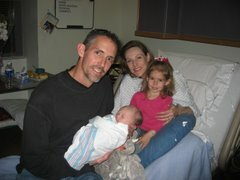 I love the picture of the 3 of us! 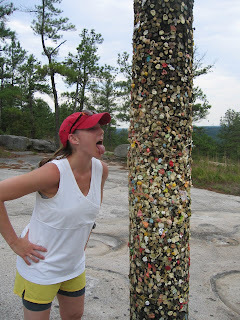 Near the bottom we encountered a genuine gum tree, well, a post with every flavor of chewed gum you can imagine. Yum! 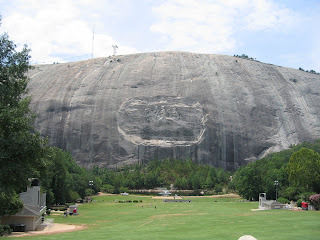 You can also see the face of Stone Mountain with its amazing carving; a 6 ft. man can stand up inside the nostril of the horse. 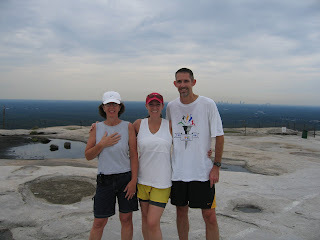 Thank you so much Bob and Linda for our amazing memories in Hotlanta!